If there’s anything smartphone users whine about, it’s battery life. Even Facebook has an entire center devoted to running their software on older phones, to ensure a change doesn’t cause a huge battery drain. Now, 9to5mac.com has picked up a report that the iPhone 7 will get a 1960 mAh battery, up from the 1715 mAh of the 6S (which, by the way was a downgrade from iPhone 6.) Of course, it may be that the A10 processor will be more power hungry, but we have to wait until September to actually find out. No leak about the 7 Plus or Pro, but if it also gets a 14% battery bump, it would go from 2750 mAh to 3140. With the nostalgia mania about Pokemon Go, to quote Ron Popiel ‘but wait…there’s more!’ Thenextweb.com reports that Nintendo is going to launch the Nintendo Classic in November. 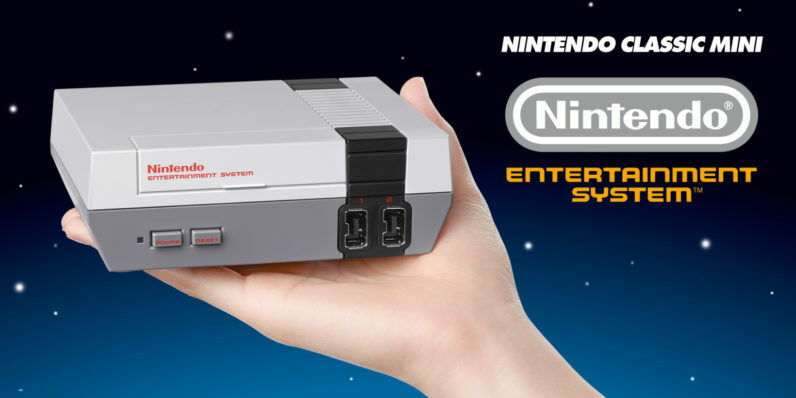 It’s a miniature version of the original NES console that fits in your hand! It will cost 60 bucks, and come preloaded with 30 classic games. An extra controller will set you back an extra 10 bucks. Did I mention that it’s cute, tiny, and only 60 bucks?